Hotel M is located just a short walk from Tivoli Park with the city centre in the close vicinity. Perfect for business customers, M Hotel offers 9 conference rooms and 154 elegant and modern hotel rooms. Every room has wireless internet and you even have the option of renting a bike (if you’re in the mood for an excursion). The airport is just 20 km away and M Hotel Ljubljana will send a vehicle to bring you directly to the hotel. 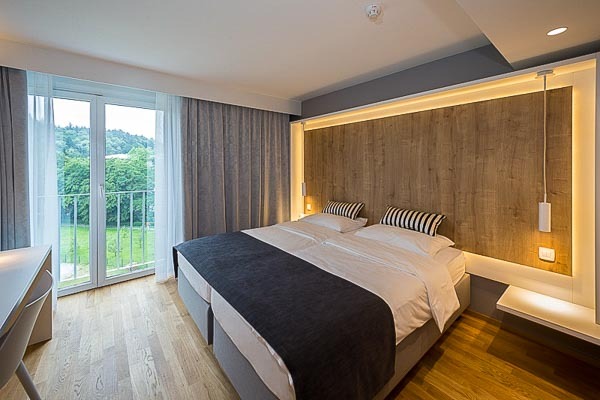 Ljubljana’s M Hotel (Mercator Hotel) is relatively big with 154 modern rooms, each equipped with access to the internet, cable TV, direct-dial telephone, hair dryer and a mini bar. For larger persons there are 40 beds an extra 220 cm long and special rooms are adapted for the disabled. Visit the 4th floor for the laundry and dry cleaning service. 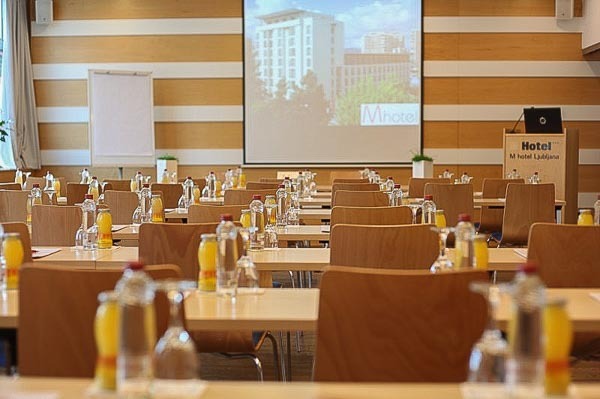 M Hotel is very appropriate for hosting conferences and business groups. It offers 9 highly equipped conference halls for up to 300 people and with a plethora of high-tech equipment already there you can leave your own apparatus at home. LCD projectors, wireless internet, flip charts and computers will make your conference come to life. If you book your room in M Hotel, they will offer to pick you up at the Ljubljana Airport which is less than half an hour away. Within the facilities restaurant, self-service breakfast and dinner are offered. Besides car rental, bike rental and the laundry service, the hotel offers a discount for Wellness and Atlantis WaterPark in BTC shopping district. M hotel also offers organized trips and excursions.